Strategizing about how to maximize your rewards can be the bane of a credit cardholder’s existence, but the M&T Visa® Signature Credit Card makes it simple and straightforward with unlimited 1.5 percent cash back for every dollar you spend, no annual or foreign transaction fees and a respectable balance transfer offer. Flat-rate cash-back credit cards keep popping up, but M&T Visa® Signature Credit Card's features and perks remain among the best even as newcomers join the fray. In particular, the ease of knowing you’ll earn 1.5 percent back regardless of where you use your card, combined with the flexible redemption opportunities with the M&T Visa® Signature Credit Card, make this a card worth checking out. Visa® Signature benefits, including complimentary 24-hour concierge service, travel protection, rental car insurance, perks at luxury hotels and zero liability. When it comes to ease, a flat 1.5 percent cash-back credit card really can't be beat. There's no annual fee or foreign transaction fees to eat into your cash-back rewards. You can redeem rewards for everything from cash back to a hot-air balloon experience. Points expire after 48 months, so unless you're a major credit card spender it's unlikely you'll accumulate enough points for the very top-tier merchandise or experiential rewards. With the M&T Visa® Signature Credit Card, customers earn unlimited 1.5 percent cash back on every dollar they spend and a get sign-up bonus of 10,000 points – good for $100 in cash – after they make $1,000 in purchases within the first three months. You can then receive your cash back in the form of statement credits, savings or checking account deposits or MasterCard® Bonus cards. Since it is a “cash-back” card, after all, it’s good to know that you can redeem your rewards for, well, cash at the $.01 per point level (ie. 2,500 points equals $25 cash back). But if you’re in the market for something else, those points can also be redeemed for gift cards, merchandise, travel or what M&T calls “experiential rewards” (fly a helicopter, go on a private balloon ride for two or simply get a massage). You get the same value whether you redeem your points for cash, gift cards, gas or a tandem skydive. Merchandise redemption options range from 3,100 points all the way up to 332,000 points, while experiential rewards can go as high as 58,000 points. One of the most attractive features of the M&T Visa® Signature Credit Card is the Visa® Signature benefits. You get access to a 24-hour concierge service, where reps help you research travel, book show tickets or buy gifts for family and friends. With more than 900 hotels in the Visa® Signature Luxury Hotel Collection, cardholders can get exclusive deals and perks such as 20 percent off their hotel stay or four nights for the price of three. Plus, cardholders get special access to purchase preferred seating at different events. You’ll also get the standard benefits that other cash-back cards offer, including rental car insurance, roadside assistance, travel and emergency services and zero liability if someone makes fraudulent charges on your card. Aside from these perks, the M&T Visa® Signature Credit Card is a good option for a low-fee card. There’s a 0 percent introductory APR on balance transfers for 12 months and no annual fee. 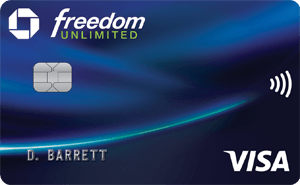 Additionally, the M&T Visa® Signature Credit Card doesn’t have a foreign transaction fee on purchases made outside the U.S. All these things together mean you can reap savings if you regularly travel abroad, want to transfer a balance from a high-interest rate card or intend to use this card for everyday purchases, especially during the first year. Compared to other cash back rewards cards, the M&T Visa® Signature Credit Card’s sign-up bonus is modest at 10,000 points (or $100 cash) for $1,000 in purchases. Compare that to the BankAmericaCard Cash Rewards™ Credit Card, which offers $100 online cash for just $500 in initial purchases or Chase Freedom, which has a $150 sign-up bonus for $500 in purchases. Another drawback? Your points expire if you don’t redeem them within 48 months of the date they were first posted to your account. Also, if you often carry a balance from month to month, you may want to opt for another low-fee card with a lower APR. You also need excellent credit to get the M&T Visa® Signature Credit Card, so if you’re still building or re-building your credit history, you’ll likely want to look for a different card. M&T Visa® Signature Credit Card vs. Blue Cash Preferred® Card from American Express: The Blue Cash Preferred® Card from American Express has a more enticing welcome offer than the M&T Visa® Signature Credit Card — $200 cash back after you spend $1,000 in the first three months. 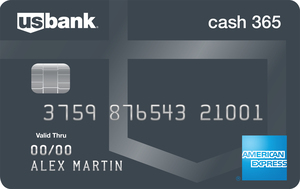 The Blue Cash Preferred® Card from American Express cash-back structure is less straightforward, with 6 percent cash back at U.S. supermarkets (up to $6,000 spent annually, then 1 percent), 3 percent cash back at U.S. gas stations and 1 percent cash back on all other purchases. Whereas, the M&T Visa® Signature Credit Card gives cardholders unlimited 1.5 percent cash back across the board. Both cards offer similar benefits, like roadside assistance, rental car insurance and exclusive access to pre-sale tickets for live events, but these benefits don’t come cheap with the Blue Cash Preferred® Card from American Express – you’ll have to pay a $95 annual fee, foreign transaction fees and balance transfer fees (Terms apply. See Rates and Fees). If you want the similar benefits, a few perks and a card with no annual fee, the M&T Visa® Signature Credit Card is the better option. M&T Visa® Signature Credit Card vs. Capital One® Quicksilver® Cash Rewards Credit Card: Neither card has an annual fee or foreign transaction fees and both provide zero liability protection to go along with an unlimited 1.5 percent cash back for every dollar you spend. The biggest difference? Your points don’t expire with the Capital One® Quicksilver® Cash Rewards Credit Card for as long as your account is open, while you have 48 months to use them with the M&T Visa® Signature Credit Card. Capital One® Quicksilver® Cash Rewards Credit Card (after the intro period, 16.24% - 26.24% (Variable)) also has a better welcome offer – $150 cash back after $500 on purchases in the first three months. You have to make $1,000 in purchases with the M&T Visa® Signature Credit Card to reap the intro bonus cash back. Both cards have perks like special concierge service and exclusive access to events, but if you want perks and the flexibility to use your points whenever you choose, pick the Capital One® Quicksilver® Cash Rewards Credit Card. Anyone who prefers cash instead of points and wants a simple, no-fuss card that also includes perks should consider this card. The balance transfer promotion and low fees are two other good reasons to take a long look at the M&T Visa® Signature Credit Card.